No matter what you are cooking up, The “Merc” in Kasilof has a wide variety of grocery essentials that is sure to fit your needs. From staples like cooking oils, seasonings, and condiments, to snacks, drinks, chips, we have all your grocery needs covered right here in Kasilof. So don’t worry about driving all the way into Soldotna, just stop in to the Merc. We have you covered. So you have your groceries, but you forgot the tinfoil for the salmon! Not to worry, we have a wide selection of kitchen essentials. Utensils, ziplock bags, tinfoil, etc.. are all found locally here in Kasilof. 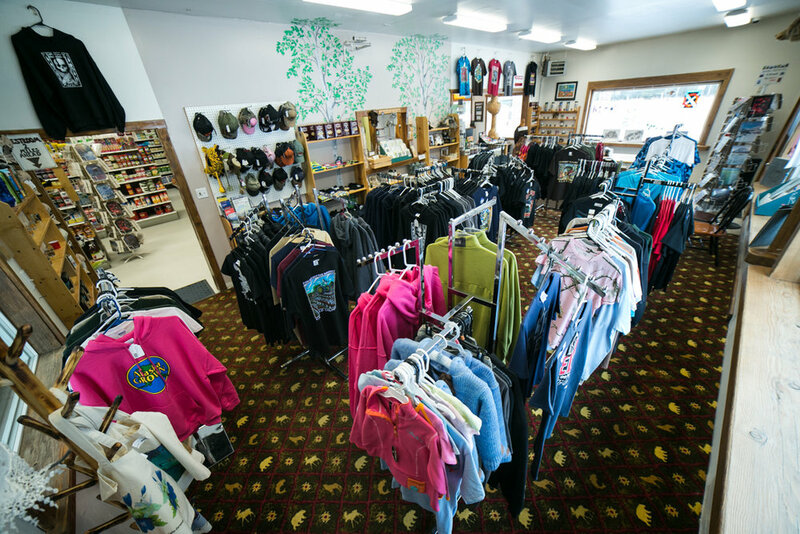 The Merc happens to be located right in the heart of Alaska’s fishing paradise. Thousands of anglers each year flock to the waters of the Kasilof and Kenai rivers. For that reason we have a good selection of fishing gear to assist in your angling success. Come on by and find the lures to land your trophy. The Kasilof Mercantile began as the “Kasilof Grocery” in 1959. It was run by Bill and Isabella Harris out of the supply shed next to the Kasilof Children’s Home on K-Beach road. They sold only what they could purchase in two annual case lots delivered from Seward. Beginning in 1960, a new building was built in the current location and was added onto, piece-by-piece, by a succession of hard working and dedicated owners. 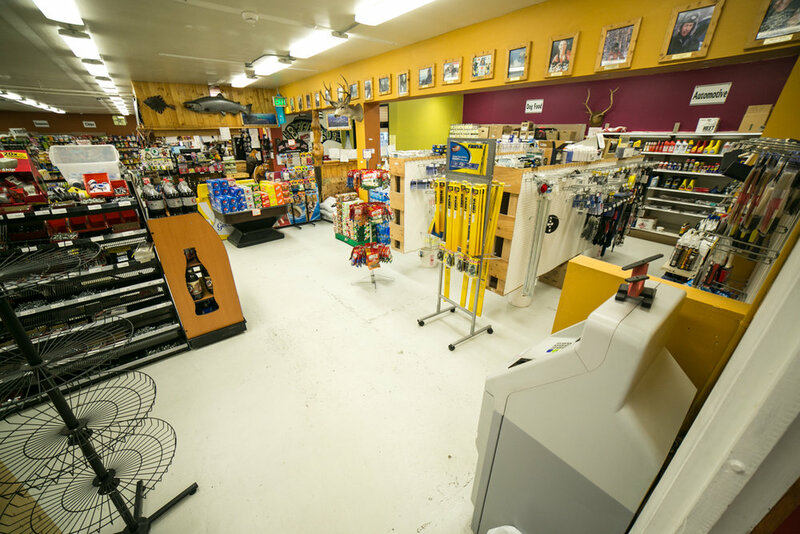 It it’s time this building has served as a post office, feed store, residential home, and newest of all is as Alaska’s first outlet store for Alaskan Hardgear.